Tibetan calligraphy and Buddhist imagery are rising in popularity among tattoo artists and tattoo lovers around the world. Tibetan script is not only uniquely beautiful and artistically stylish, but also the message behind the symbolism is profound and meaningful. The 50 Ancient Proverbs in this ebook express the teachings of Buddhist philosophy and reflect the humor, folklore, and traditions of Tibet. 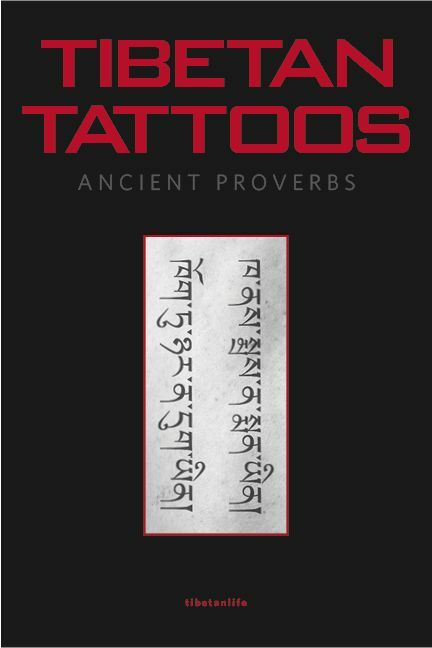 This collection of Tibetan Tattoos Ancient Proverbs will open your eyes, and your soul, to the most unique tattoos in the world. The Tibetan translations are also written vertically to make an easier and larger image for your tattoo artist to correctly copy. A Tibetan tattoo is more than just a tattoo; it is a statement of life, of peace, of hope...and a symbol of freedom.